These linens will fit other size tables. 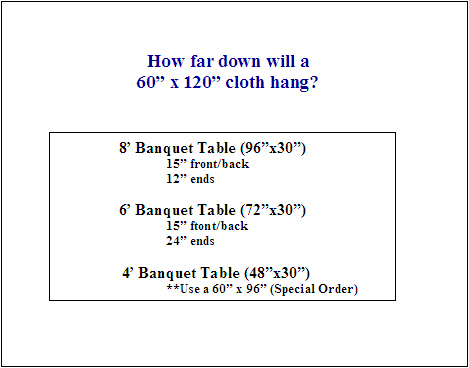 Subtract the length or width of your table from the corresponding cloth dimension and divide the remainder by 2. This will give you the amount of overhang. Square Table Cloth 72 in. sq. 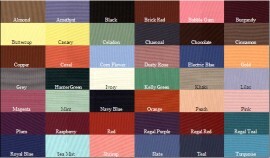 Round Table Cloth 120 in. Square Table Cloth 54 in. sq.